Are Doctors to Blame for the Opioid Crisis? There is a harrowing and deeply disturbing opioid crisis in the US. The crisis is evident from the onslaught of addiction and death in hundreds of communities across the US. Despite this, the community of medical professionals and scientific experts is slow to react. They are yet to question not just the viability of prescription opioids, but the ability of the doctor to prescribe them. In the midst of the opioid epidemic, a drug company’s tactic to enhance sales of an extremely potent pain relief medication. The said medicine led to a large number of deaths. However, it is equally disturbing to learn that despite the legal setbacks for the drug company, many physicians are yet to receive sanctions for their heinous crimes. Insys Therapeutics, an Arizona-based company, has been in the limelight for some time now. The company is currently facing a barrage of legal ramifications, dealing with lawsuits from both private insurance companies as well as federal and state governments. There are a slew of mid-level and senior company executives facing indictments. Moreover, a majority of them are facing charges on accounts of bribing medical professionals and accredited doctors to always prescribe their painkiller, the fentanyl spray, Subsys. It is also alleged that Insys offered $100,000 to various pain management professionals to attend high-profiled dinners and galas and events of the sort to endorse Subsys as a viable painkiller for things like elbow pain, hip pain, etc. Between 2013 and 2016, the notorious drug company paid different doctors fees up to $50,000 attend seminars where they have to speak in favor of the drug. Plus, Insys also covered their travel, accommodation and entertainment expenses throughout the US. This too was discovered by Raycom’s media analysis. The total amount of money that Insys has paid to doctors adds up to around $14 M.
In a recent civil lawsuit back in May, the government of the United States formed an alliance with a whistleblower to go against the culprit Insys. The whistleblower mentioned up to 20 doctors along with various other medical experts who took bribes from Insys. Furthermore, it was discovered that that accused were responsible for billing up to $68 M to TriCare and Medicare for the drug prescriptions given to non-cancer patients. Keep in mind, just a month’s worth of the Subsys supply is over $35,000. There are up to twelve lawsuits where doctors are facing accusations of accepting these “generous offerings” from the notorious company. In addition, they are actively and overly prescribing the painkiller - which is a hundred times more potent than morphine - to their patients. The doctors under investigation prescribed the medication to patients with cancer as well as other health complications involving chronic pain. This ultimately led to long-term addiction, horrendous side effects and in some cases, fatalities due to opioid abuse stimulated by the doctors themselves. Yet, the sad thing is that many doctors still benefit from the payouts from Insys. Doctors still have authorization to practice medicine without any accountability, as per a report by a national survey by Raycom Media. Insys is maintaining a staunch silence with regards to this matter. 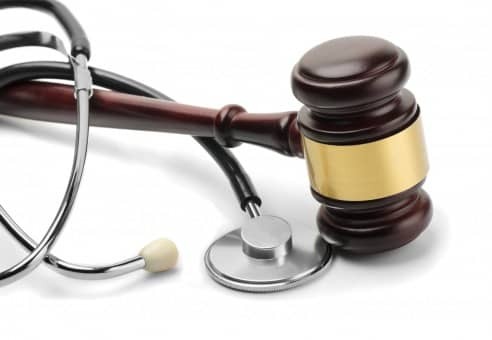 There was another indictment against a Florida-based doctor who faced charges for the wrongful death of a patient with respiratory ailments. The doctor shouldn’t have prescribed Subsys. The patient passed away after just taking one dose. However, the doctor still continues to practice medicine. Amidst this deeply troubling opioid crisis, there was another case in South Carolina where a young mother underwent treatment for hip pain. She received a prescription for Subsys. As a result, she lost her teeth and showed symptoms related to a stroke. The doctor? He moved to New York along with his practice. Questions are now being raised over whether doctors have the qualification to diagnose patients with a long history of chronic pain and terminal illnesses. It is important that only doctors who are expert pain management professionals should prescribe opioids. There is no question that we need to do everything in our power to focus on screening doctors, and for physicians to learn a slew of effective medical strategies to treat pain in a variety of forms. Any blog content posted on The Eichholz Law Firm website is provided for educational and informational purposes only and is not considered to be legal advice. If you or a loved one believe you have a dangerous drugs claim, please contact us for a free case evaluation.